My love of thrift shops came about three years ago. I was in the process of losing a lot of weight and found myself with a lot of clothes that no longer fit and a need for a new wardrobe, Thrift stores became the answer to my prayers! I donated what no longer fit and picked up great pieces for a quarter of what it would have cost in a store. Not only were the clothes extremely budget friendly, I was also able to find some really funky stuff. Just be prepared to spend sometime browsing. 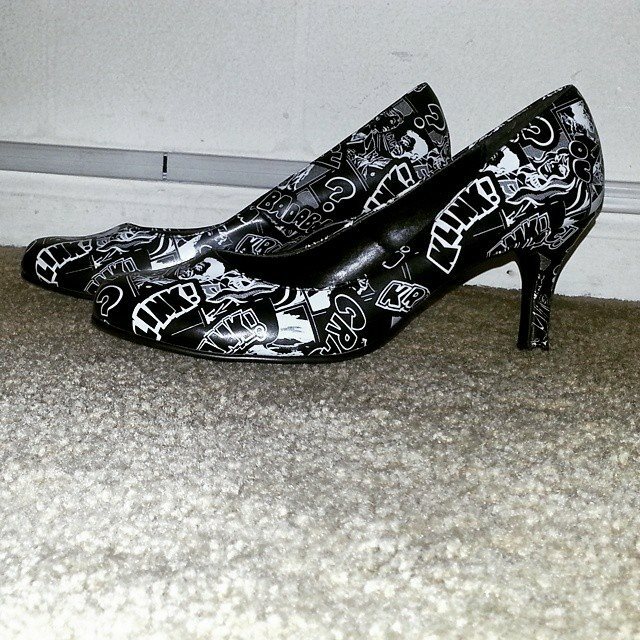 I don’t know where else I would have found $3.00 comic print heels! I was so happy they were in my size! What I love about thrifting is it’s a two way street. That shirt that’s been sitting in the back of your closet for the past two years is someone’s treasure. The first time I met my friend, the first thing she said to me was “Oh my God, I love your lipstick.” Red lipstick has been my favorite fashion accessory since I was allowed to wear make-up. It’s the perfect quick and easy way to dress up you look. The good news, anyone can wear red lipstick. Bad news, there are like 100 shades to pick from. How’s a woman to choose? Here are a few simple steps to finding the perfect shade of red and rocking it! Olive/darker skin tones should go for the orange or tomato reds. Fair skin should go for the pinky reds. A true red (red with no undertones) works with anyone. Moisturize your lips. Dry lips make it difficult to apply lipstick evenly and can lead to a cracked look. I like to apply a lip balm a few minutes before I put my lipstick on in the morning. Select a lip liner that closely matches the shade of your lipstick. Line and fill your lips. 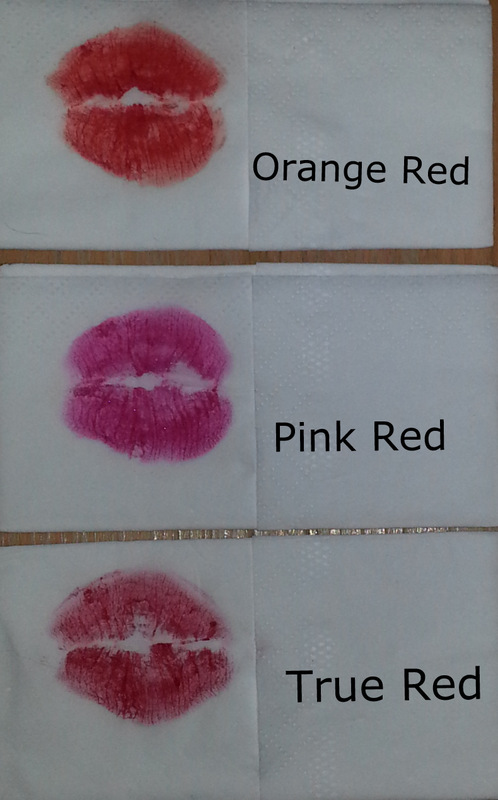 Not only will the lipstick stay longer, the liner helps keep the lipstick from smearing and bleeding. Apply the lipstick of your choice. Blot with a tissue and you’re ready to go! Here’s a list of my favorite reds. Still not sure you can pull off the red lips? You can take a red lip liner; line your lips and finish with a tinted lip balm for a more subtle look. The liner should closely match the lip balm so you probably are going to go with a lighter shade as most tinted lip balms aren’t that dark. My favorite is Burt’s Bees Lip Shimmer Cherry. So now, go a head and rock the red!